In November of 2018, there are some 28,000 marijuana/cannabis businesses in operation, employing about 150,000 people in the U.S., and they manage and control some $9 billion in essentially cash revenues. This industry continues to grow. In this two-part article, the author provides a brief overview of the history of this industry and tax issues CPAs and consultants must know. In the second part of this series, the author illustrates the importance of choice of entity and provides an overview of the state laws governing possession, sales, and distribution of cannabis. Martin Booth’s Cannabis: A History reports that as long ago as 1850 in the United States (U.S.), marijuana/cannabis was commonly used as a treatment for neuralgia, tetanus, typhus, cholera, rabies, dysentery, alcoholism, opiate addiction, anthrax, leprosy, incontinence, snakebite, gout, convulsive disorders, tonsillitis, insanity, excessive menstrual bleeding, and uterine bleeding. It was widely available in pharmacies and even grocery stores during the latter half of the 19th century, priced affordably relative to other drugs with no requirement for a doctor’s prescription. Marijuana/cannabis was commonly sold in tincture form by Parke-Davis, Eli Lilly, E. R. Squibb & Sons, and other drug manufacturers. Lester Grinspoon’s History of Cannabis as a Medicine reports that by the end of the 19th century, the use of marijuana/cannabis in medicine had declined due to a number of factors, including difficulty in controlling dosages and the rise in popularity of synthetic and opium-derived drugs. The advent of the hypodermic syringe also allowed these drugs to be injected for immediate effect, in contrast to marijuana/cannabis which is not water-soluble and therefore cannot be injected. Additionally, as fears regarding the recreational use of marijuana/cannabis began to take hold (prompted by Harry Anslinger’s Federal government sponsored propaganda campaigns and sensationalist media reports), States began passing legislation to restrict the sale and possession of marijuana/cannabis, thereby eliminating its availability as an over-the-counter drug. By 1936, every state in the Union had passed a law criminalizing the use or possession of marijuana/cannabis. The Marihuana Tax Act of 1937, which was opposed by the American Medical Association (AMA), was intended to criminally sanction all non-medical use of marijuana/cannabis. However, due to burdensome new fees and regulatory reporting requirements, the use of marijuana/cannabis as a palliative medicine was severely curtailed. Anti-marijuana/cannabis zealot Harry Anslinger was successful in having marijuana/cannabis removed from the U.S. Pharmacopeia in 1941. Eighty plus years on in the closing days of 2018, popular support for the renewed legalization of marijuana/cannabis in one form or another (medicinal and/or recreational) is gathering momentum in the U.S. with a 64% majority of Americans favoring that legalization according to an October 1–10, 2018 Gallup poll. Even though the medical profession is producing a growing number of credible research studies indicating marijuana/cannabis use provides significant palliative benefits for chemotherapy induced nausea and vomiting, the symptoms of multiple sclerosis, the tremors and pain of Parkinson’s disease, and chronic pain, marijuana/cannabis use, whether medicinal or recreational, is illegal in most of the world’s sovereign nations, with Uruguay (2013 legalization) and Canada (2018 legalization) being the only exceptions. In the U.S., at the Federal level, the Comprehensive Drug Abuse Prevention and Control Act of 1970, 21 U.S.C. §801–971 (1970), (Controlled Substances Act or CSA), Congress created a regime to curtail the unlawful manufacture, distribution, and abuse of dangerous drugs (controlled substances). Congress assigned each controlled substance to one of five lists (Schedule I through Schedule V). See §812 of the CSA. Schedule I includes: (a) opiates; (b) opium derivatives (e.g., heroin; morphine); and (c) hallucinogenic substances (e.g., LSD; marihuana [aka marijuana]; mescaline; peyote). 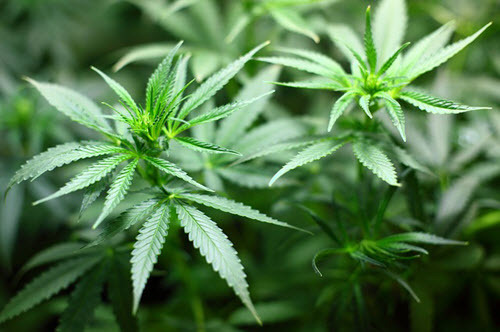 Marijuana/cannabis is categorized as a Schedule I drug (considered as having no medicinal efficacy and having a high potential for abuse) and consequently is illegal under Federal law even though Washington, D.C. and about 33 States have legalized its “medicinal (23) and/or recreational use (10).” The Federal criminal classification of marijuana/cannabis growth, processing, testing, wholesale and/or retail distribution, possession, or use has serious consequences even where State and Washington, D.C. law has decriminalized the drug. Despite Federal law and the criminal laws of seventeen States, it is estimated that some $55 billion is spent annually on legal ($9 billion) and illegal ($46 billion) marijuana/cannabis purchases in the U.S. The gross number, as well as the legal number, is forecasted to increase dramatically as the industry continues to promote marijuana/cannabis as compatible with a healthy, habit free, adult lifestyle, more States legalize the drug and legal access to the drug becomes widespread. In November of 2018, there are some 28,000 marijuana/cannabis businesses in operation, employing about 150,000 people in the U.S., and they manage and control some $9 billion in essentially cash revenues. Cultivators/growers: heavily regulated and monitored farming operations that require significant horticultural knowledge and substantial initial investment (seed capital). Infused product manufacturers: fabricators, processors, distillers, cooks/bakers of marijuana/cannabis edibles (including the raw plant itself); joints; blunts; bongs; bowls; bubblers; dabs; pills (tablets); capsules (cannacaps); tinctures; oils; pens; vaporizers (vapes); sprays; suppositories; drinks; THC soda; cannabis simple syrup; topical creams topical salves; transdermal patches; cannabis-infused butter (cannabutter); chewing gum; THCA crystals; canna oil (used for cooking); THC bath soaks, and other types of infused products. Manufacturers/fabricators of consumption devices: hand pipes; water pipes (bongs); rolling papers for joints or blunts; hookahs; vaporizers; tinctures; transdermal salves; ingestible cannabis oil capsules; edibles (any food infused with cannabis); drinks (an alcoholic or non-alcoholic beverage infused with cannabis). Testing facilities: marijuana/cannabis independent testing laboratories that provide quality control and data relevant to product potency, pathogens, residual solvents, heavy metals, homogeneity, etc. Laboratory Information Management System (LIMS) is software that allows management of samples and associated data. Alternatively, the IDBS E-WorkBook Cloud is a research and development platform that supports internal, external and hybrid data management and research needs. Software or online services: LIMS; IDBS E-WorkBook Cloud; Electronic Laboratory Notebook (ELN); Laboratory Execution System (LES); Scientific Data Management System (SDMS). Delivery services: flowers, various infused edibles, topical oils and salves, pre-filled vaporizer pens, concentrates, etc. ordered by qualified customers, can all be delivered to a consumer’s home, office, or hotel by licensed and reputable courier service providers. Retail sellers: essentially stores, known as collectives or dispensaries, that sell marijuana/cannabis products and related items to qualified customers. It is imperative to know and understand, however, that even though a marijuana/cannabis business is illegal under Federal law, it remains obligated to pay Federal income tax on its taxable income because Internal Revenue Code (IRC) § 61(a) does not differentiate between income derived from legal sources and income derived from illegal sources. IRC § 61(a) defines “gross income” broadly using 15 examples of items that are includible in gross income. Consistent with the enabling 16th Amendment, IRC § 61(a)(3) provides that gross income includes net gains derived from dealings in property, which includes controlled substances produced or acquired for resale. IRC §162 generally provides that in order to be income tax deductible by a business enterprise, a business expense (e.g., storage fees for the marijuana/cannabis; purchase costs for the marijuana/cannabis; employee salaries; fees and payments to independent contractors; vacation pay for employees; health and life insurance premiums paid for employees; retirement plan payments for employee benefits; other employee ‘fringe benefit’ costs; rental fees for premises, furnishings, and equipment; depreciation and amortization of furnishings and equipment, etc. ; repairs and maintenance; electric and other utility costs; internet and telephone service; marketing and advertising costs; accounting/bookkeeping expenses; legal and professional costs and expenses; IT and other technology costs; general and administrative costs; State and local licensing and compliance fees; State and local real property and intangible taxes; State and local excise taxes; State and local income and/or franchise taxes; and other business expenses which must be “ordinary and necessary” within the meaning of IRC §162 and must satisfy the deductibility (paid or incurred) timing requirements of IRC § 461. Unless another section of the Code or the Income Tax Regulations requires a deduction to be capitalized, deferred, or disallowed, the amount of that expense is currently deductible in the determination of taxable income for the taxable year or period. There is no doubt that State sanctioned marijuana/cannabis businesses are clearly operating illegally under Federal law, and equally, there is no doubt that they are fully taxable on their “…gross income…from whatever source derived (legal or illegal), including (but not limited to)…gross income derived from business…Code § 61—gross income defined. There is no doubt that these marijuana/cannabis businesses, in determining their gross taxable income, may fully deduct from its gross receipts the adjusted basis of the expenditures necessary to acquire, construct, or extract a physical product which was sold (CGS). Remember here that the U.S. TC has ruled that “the CGS concept embraces expenditures; the seller can have no gain until he recovers the economic investment that he has made directly in the actual item sold. A grower/producer of a Schedule I (marijuana/cannabis) or Schedule II controlled substance should be permitted to deduct, as part of its CGS, the cost of seed, harvested plant, and its various derivative products, direct wages, direct rents, direct repairs and maintenance, and other expenses that can be directly attributed to its production activities. A grower/producer of a Schedule I (marijuana/cannabis) or Schedule II controlled substance is not entitled to any deductions for Code § 162 “ordinary and necessary” business expenses/deductions because Code §280E specifically provides that no deduction or credit shall be allowed for any amount paid or incurred during the taxable year in carrying on any trade or business if such trade or business (or the activities which comprise such trade or business) consists of trafficking in controlled substance. It is imperative to note and be cognizant of the different forms of legal entities and the income tax consequences of operating a marijuana/cannabis business in that form. Each legal form or entity has its own advantages and disadvantages. Generally, for any particular venture, personal and/or business circumstances as well as individual income and estate (transfer) tax planning considerations and State law will dictate the business form of choice. James P. Crumlish is a Westhampton Beach, NY-based CPA. His firm provides tax preparation, planning, bookkeeping, and accounting needs. Mr. Crumlish is also a Chartered Global Management Accountant. Mr. Crumlish can be contacted at (212) 996-3788 or by e-mail to jamespcrumlish@gmail.com or http://jamespcrumlishcpas193.vpweb.com.